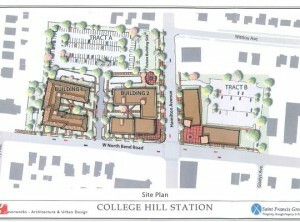 A Great Neighborhood to Live and Work - College Hill Community Urban Redevelopment Corp.
College Hill is known for its pleasant, tree-lined neighborhoods within walking distance of our business district and transport hubs. Large retirement homes – several more than a century old – make the neighborhood a haven for elderly people, while an abundance of affordable, cottage-style homes attract young families. Neat apartments, many dating from the 1920s, accommodate renters. SCHOOLS. College Hill is fortunate in having a diversity of thriving public and private schools, easily accessible to the community. They include both elementary schools and high schools, public and private. CHURCHES. College Hill is a devout community, with churches with diverse denominations and active congregations. Contacts for College Hill churches are here. Christ’s Community in College Hill is an initiative of nine, inter-denomination churches serving College Hill. They build bridges across racial, cultural, economic, social and denominational lines to meet the needs of the College Hill community. Services include utilities and rent assistance, a food pantry, summer day camp, and holiday gift baskets. College Hill is surrounded by parks and recreation areas, from Laboiteaux Woods on the south (off Hillcrest Ave) to McEvoy Park and Crawford Commons (photo) on the north, along North Bend Road. Not far away are extensive natural areas in Mount Airy Forest and Winton Woods. We have a thriving Recreation Center on Belmont Avenue with courts, indoor running, and exercise equipment, easily accessible and affordable. We have numerous ball fields and walking paths in College Hill, enjoyed by many residents every day. Our College Hill Branch Library on North Bend Road offers friendly and convenient library services to residents and Pleasant Hill Academy students. They offer many educational programs, and have a lunch program for children during the summer. 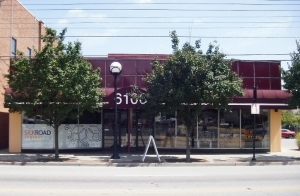 College Hill has a growing and vibrant array of businesses and entertainment venues. Our current commercial property redevelopment projects along Hamilton Avenue are sure to bring more. Discover the Avenue.